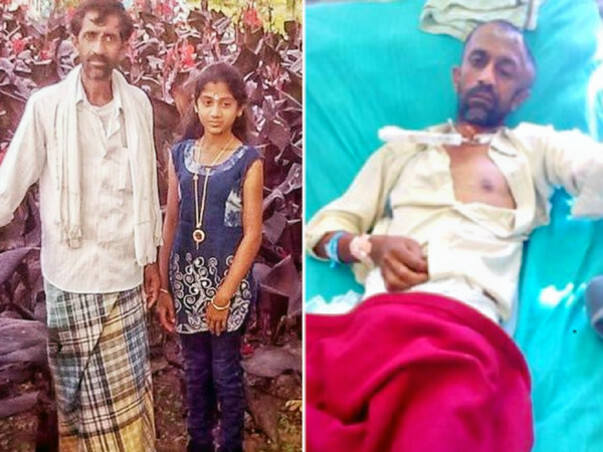 Help Ramakrishna Get Back On His Feet After His Tragic Road Accident. Ramakrishna is a daily wage labourer and a marginal farmer and is the only breadwinner of his family. 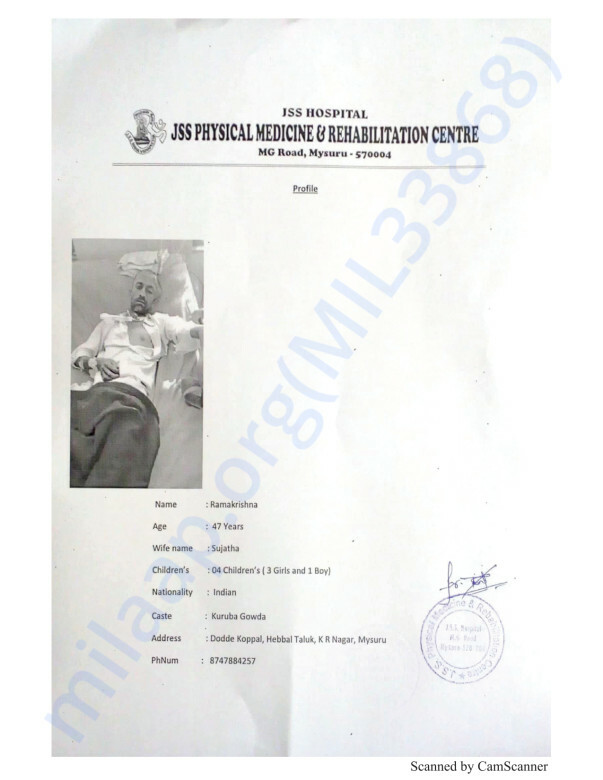 He has suffered a severe head injury in a road traffic accident due to which the doctors have performed a craniotomy. This has left him motionless and unable to do any hard labour. However, the doctors are very optimistic about him being back on his feet with intense physiotherapy and rehabilitation. He has already spent 4 lakhs for surgery and treatment so far, all funded by debt. Neither he nor his family can take it no more. 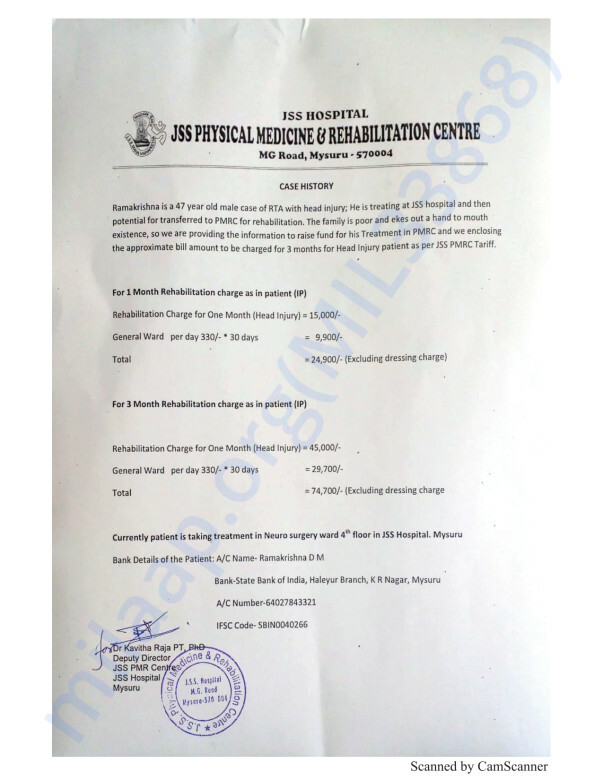 The funds raised will directly fund his physiotherapy and rehabilitation. 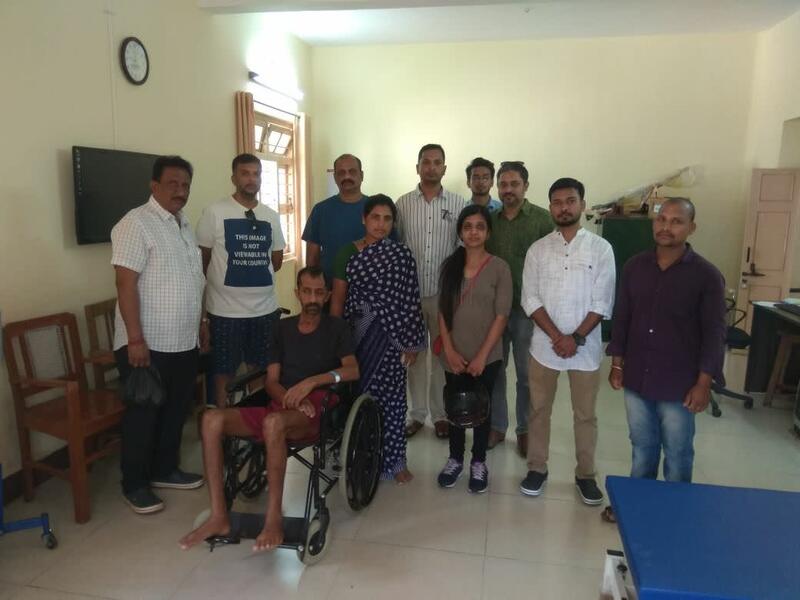 I along with a group of well-wishers visited Ramakrishna a few days ago to check on his progress. And to say the least, he's just hanging in there. I for myself still refuse to believe that the left hemisphere of his brain has been tucked away in his abdominal cavity for later use. He just has half a head now. But it's amazing how he's functioning. Gods Grace is all I can say. And I would like to thank you all for the wonderful support you have shown! Thank you so much for your overwhelming support. We couldn't have come this far if we didn't have you by our side. It gives me immense pleasure to share with you all that Ramakrishna successfully underwent craniectomy surgery. 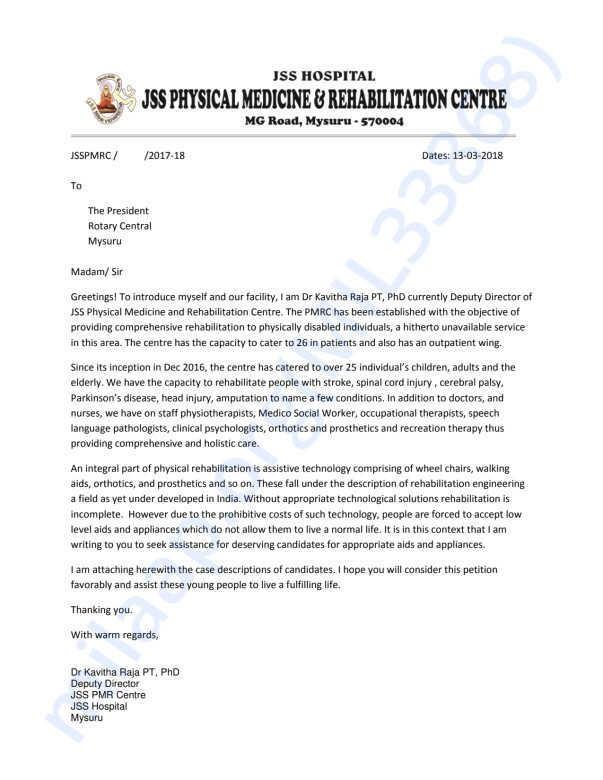 The doctors then advised him to get admitted in a rehabilitation centre to help him with his arm and leg movements. Currently, he's in rehab getting treated for the movement of his limbs. We are all hopeful about his recovery. Thank you very much for your support. We will forever be grateful to you all. 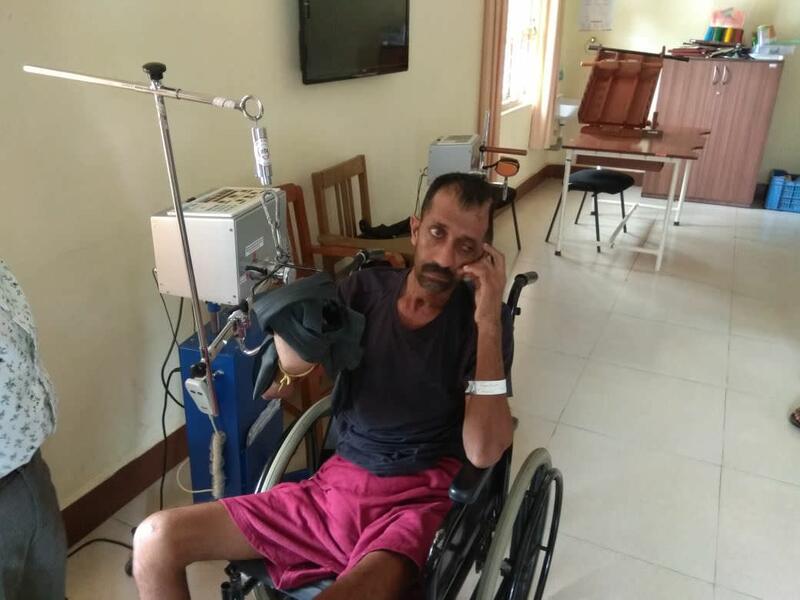 It is with great pleasure that I wish to inform all of you good souls that we got Ramakrishna from his village and admitted him to the hospital today. He and his family has showered all of you with the choicest of blessings and I know karma will do its magic. I profusely thank each one of you for your contribution. it was very much valued and appreciated. Will post his progress again.